Bitcoin has taken a nose dive in the past 24 hours with the cryptocurrency losing almost 10.86%. Currently the coin is being trading at $5,982. The price hasn't stabilized, as the price has shot below $6,000 only to rise again. BTC's 2018 all time low was $5,947, which occurred on February 6. 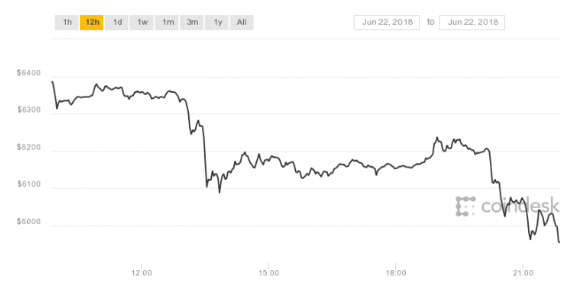 Accoridng to CoinDesk, "CoinDesk's Bitcoin Price Index (BPI) fell to $5,938.18 at 21:51 UTC, surpassing the prior low of $5,947, which occurred on February 6." Will the price stay below $6,000 for the next 24 hours?